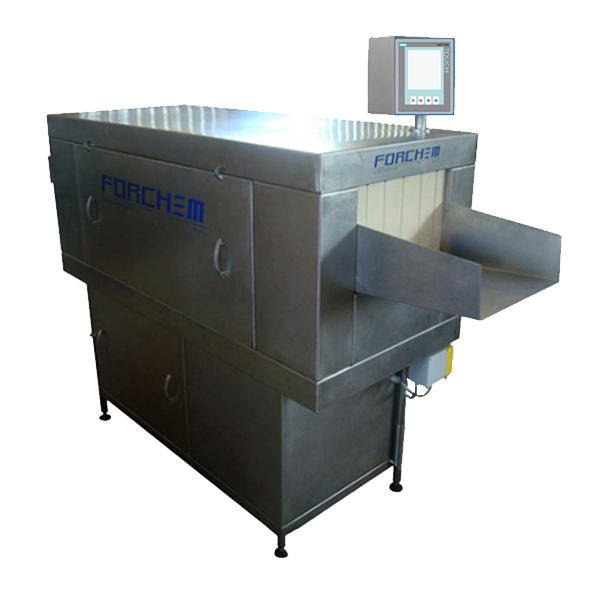 Box washer FORCHEM MP 150 is designed for cleaning dirty boxes used in butcher, baking and the other food factories. The quarantee of the cleaning quality are the high - pressure pump and a lot of nozzles situated in the cleaning tunnel. 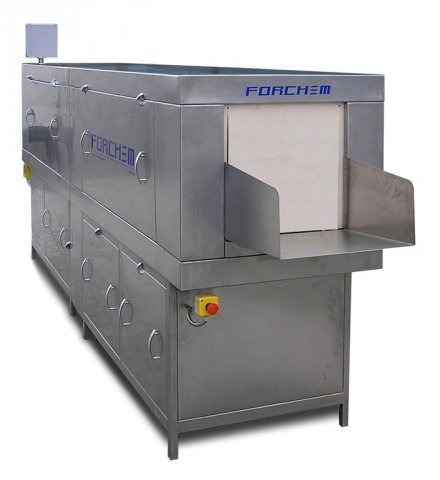 The whole box washer is made from stainless steel. 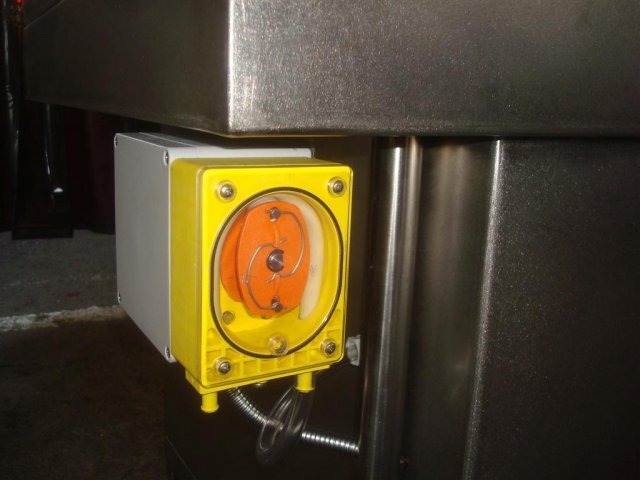 The number of zones, power of the washer and the measuremets of the cleaning tunnel can be adaptted according to the actual needs of the customer. Easy service, not difficult maintenance and the long durability of our equipments are for us the important point of the customer satisfaction. The equipment involves an electric heating and is composed from the main washing module and rinsing module. 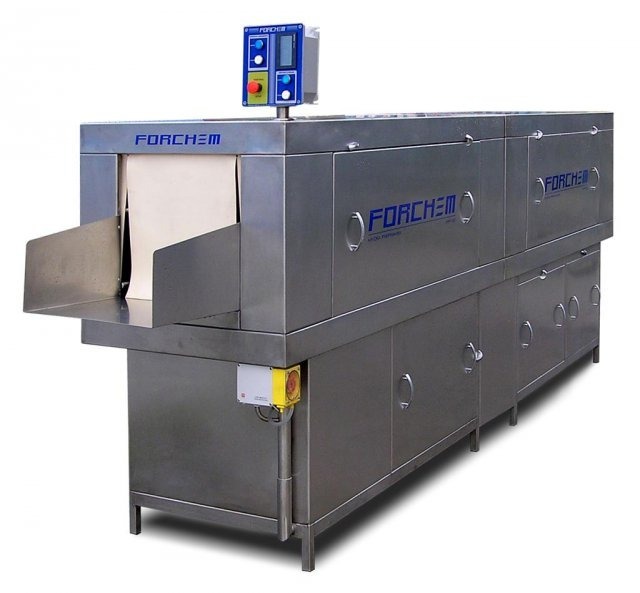 It is capable of washing the EURO - crates 600x400. The objects are moved on the stainless conveyor belt which speed can be addapted. The pressure in the nozzles is approximately 8 bar for 170 l/min.